The telecom minister estimating India’s Internet users at 50 crore users in next 5-8 months is a small piece of an entire picture of the rising Internet and smartphone penetration. In India, though the percentage (19%) of Internet penetration is far low but in absolute values the country shows some astounding figures. Both the Internet and the smartphone industry have seen sharp curves in distribution and consumption patterns in the past decade in India. In fact, both are observed to be mutually exclusive in this thriving digital era. The telecom minister estimating India’s Internet users to shoot upto 50 crore users in next 5-8 months is a small piece of an entire picture of the rising Internet and smartphone penetration. Firstly, we should understand that it is a holistic growth when we talk about the Internet, smartphones, PCs, laptops and tablets buying patterns, mobile net connectivity and the Internet speed and bandwidth availability. To understand one strand we have to closely look at how other indicators are changing. In the annual FICCI-KPMG Indian Media and Entertainment Industry Report 2015, many of such key indicators show a relatively steep growth in the Internet consumption patterns and mobile Internet usage growth. In India, though the percentage (19%) of Internet penetration is far low but in absolute values the country shows some astounding figures. India is close to replace US as the second largest enabled market with numbers inching towards 300-million-Internet-users mark, the largest being the China. The numbers speak for it, according to the report, India has shown a steady increases in the Internet users from 2014(E) to 2019(P). There is consistency of rise in the number of net surfers by at least 50 million annually (close to the population of South Africa) from 2014 to 2019 taking the projected values to be at least 560 million users by the end of 2019. Adding to that, even the Internet bandwidth availability has said to have seen a 29 per cent rise reaching a 2Mbps average speed in the country. We all understand that the Internet in itself needs a medium for consumption and the major driving force behind this is observed to be the smartphone industry. The report says currently the mobile phone subscriber base is almost nine times the installed base of personal computers in India. 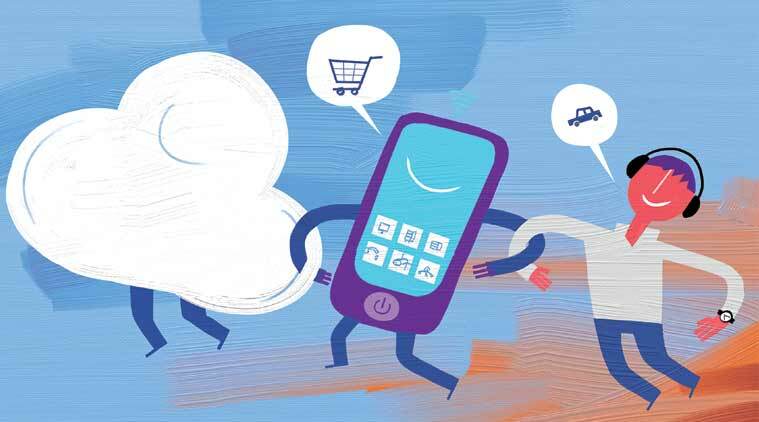 Isolating just the Internet-enabled smartphone users, a whooping 249 million is projected till 2016 end. This estimation also sees a consistent growth of at least 50 million users (on all Internet-enabled phones) adding to the base every year till 2019. However, majority of the mobile-based Internet users survive on Edge (2G) network, the rolling out of 3G and 4G is also expect to boost the growth. With Airtel, Vodafone and Reliance Jio opening the gates, the revenues from data services from an expected 38%:55%:6% [2G, 3G, 4G] in 2016-17 is expected to change to 21%:58%:20% respectively in 2018-19. The report also estimates the number of Internet users to increase at a much rapid rate in comparison with the number of TV users over the next five years. Apart from this, even the government and corporate schemes are expected to boost the Internet penetration in India. The report says the Centre’s much touted Digital India Initiative is expected to bring broadband connectivity to 2.5 lakh villages and aims to achieve net zero imports by the year 2020. Even tech giants have also put a step forward to capitalise on Digital India Initiative by Google launching Project Loom, Microsoft, with its project ‘White Space’ and Facebook exploring drone technology, all of them experimenting closely to boost Internet penetration in India.